After arrival at Guwahati, get greeted by our representative who’ll arrange smooth transfer to Hotel. Check-in , rest and relax for the day. Spend overnight at Guwahati. 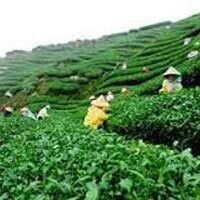 Start-up early in the morning, drive to visit Jorhat, the tea-capital of Assam. After lunch and rest, take a leisurely walk to villages in the close proximity to experience the simplicity of Assamese lives. Overnight stay at Jorhat. Explore Remains of the Ahom Kingdom Start your morning with an early breakfast and driving straight to Sibsagar to visit remains of Ahom Kingdom .Then pay a visit to the Maidams of Ahom kings, in the burial grounds at Charaideo and also visit Tai Ahom Museum. Return to Jorhat for Overnight stay. 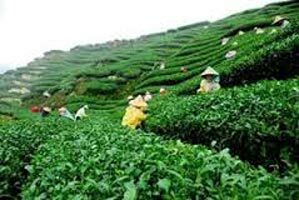 Are you keen on knowing methods of tea-plantation, then start your day, visiting Toklai Research Station to have an insight about tea-plantation. Enjoy lunch at Jorhat, then leave for kaziranga, the natural habitat of the rhinos. Spend overnight at the hotel. Wake-up early today for an excursion to central Range of Kaziranga National Park on Elephant Safari. Explore the eastern range on a jeep safari, while return. Take lunch and proceed towards Western Range of Kaziranga National Park on jeep. Spend overnight at Kaziranga. After breakfast, drive back to Guwahati. Later in the evening take a cruise on the banks of Mighty Brahmaputra River. Overnight at stay at Guwahati. Our representative will arrange smooth transfer for you to the airport, from where you can board flight for your onward destination.